While MRI, released by Room40 in February, was a reissue of a 2012 album, The All Most Quiet contains new material in the shape of two long-form tracks. Like its predecessor, The All Most Quiet is radically different from his contributions to Swans. The fact he’s actually found the time to compose and record new material is impressive in itself: the latest Swans album, The Glowing Man was released on 10 June, and the two-hour colossus of a sonic experience was developed and recorded off the back of a full year spent touring its predecessor, To Be Kind. 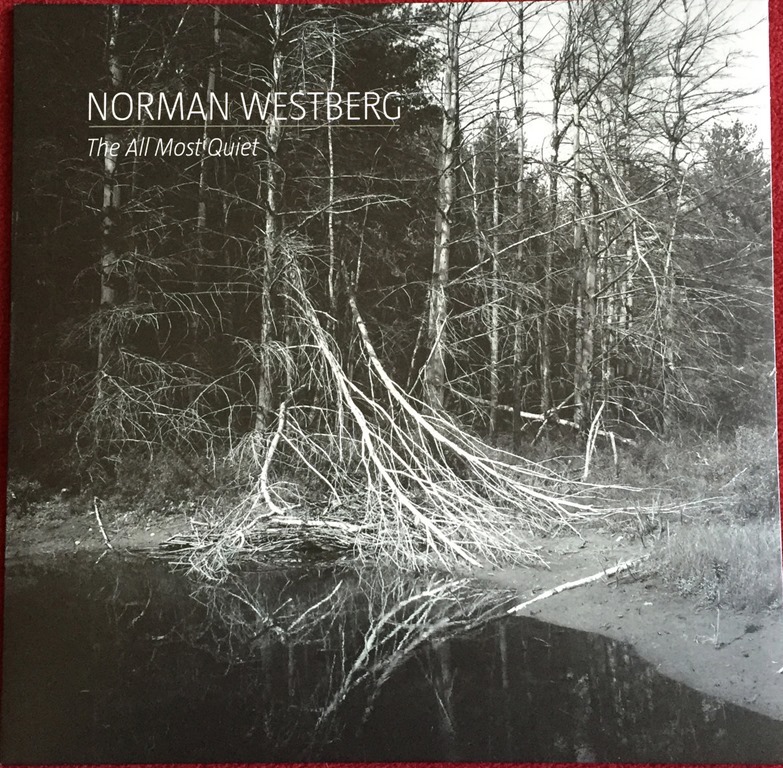 Given the duration and intensity of a Swans live show, it’s remarkable that Norman Westberg’s had time to piss and still has the energy to stand, let along record a new album. But then, perhaps his solo work has therapeutic benefits, and affords him the opportunity to decompress after long days spent in the Swans pressure-cooker. The All Most Quiet is, as the title suggests, not a loud album. It is also a gentle album. But that doesn’t mean it lacks dynamic tension, and while it is calming, it’s also not completely undemanding. The title track starts its long, meandering journey as a mid-range drone which pulsates subtly. The tonal changes which emerge are gradual. It’s easy to let it simply drift by, and it’s pleasant enough to appreciate in this way, but attentive listening brings its rewards. The introduction of new layers, textures and tones, shifts in the scale and pace of oscillations change the mood, subtly, inconspicuously, but no less definitely. And while The All Most Quiet bears no obvious resemblance to Swans, it is possible to hear a certain correlation in the way Westberg builds on slow-burning transitions to hypnotic effect. There are hints of ominousness and darkness, but the sense of scale and grandeur seeps through the very fabric of the sound. The second track, ‘Sound 2’ maintains the atmosphere, and the absence of any clear highs or lows builds a tension beneath the calm surface. The All Most Quiet once again highlights the trait I most admire in Norman Westberg’s approach to guitar laying: patience. No heroics. No sense of the ego common to guitar layers. His playing is focused on achieving texture and an overall listening experience. Whether he’s peeling off shards of noise, as on early Swans’ releases or creating more sculpted sound, as on their later releases, and in his solo recordings, at no point dos one ever find oneself thinking ‘what fretwork! What guitar wizardry!’ In fact, much of the time, Westberg’s guitar doesn’t sound like a guitar, particularly on The All Most Quiet. And for the most part, the sound is too immersive for one to really think at all.